The United States’ label as the proverbial land of opportunity exists for a reason. In any given city in the country, business owners of all shapes and sizes have made their entrepreneurial dreams a reality. And that includes immigrants and expats from all walks of life. Whether it’s a digital business or a brick-and-mortar operation, the fact remains that doing business in the United States doesn’t have to be a pipe dream. All it really takes is a combination of the right expectations and planning in order to be successful. Likewise, doing so might require you to rethink what modern businesses look like all together. While there might be some hurdles along the way for immigrants and expats, below are six major points to consider that’ll help get your business from Point A to Point B. Of course, starting a business on American soil can’t be done until you’re actually on American soil. 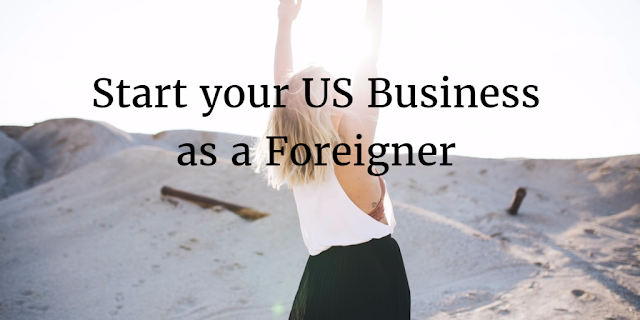 Preparing for your U.S. visa application is the obvious first step of many, many steps toward building the foundation of your business. Whether you have a sponsor or are obtaining a visa for the sake of employment, ensuring that your documents in order the first time around will ensure smooth sailing no matter what your endgame might be. Let’s assume that you’re looking to start a business “small,” perhaps as a side gig or while you’re working full-time in the United States. As such, you’re going to need to make sure that your skill set compliments whatever sort of business you want to start. Effectively researching your business idea will help you figure out what you should focus on in your free-time. For example, let’s say you have experience in IT: an IT consulting business would be the perfect starting point as opposed to a restaurant or delivery service. But just because you have experience does not mean that your idea if viable. Do research regarding your market and likewise understand if there are other success stories in your space that you could replicate. Additionally, having something to help guide you through the process of starting a business or serve as a potential partner is a smart move. This might be a relative or someone else in your expat community with a similar goal. You might be surprised how many other people in your shoes have similar entrepreneurial aspirations. If you don’t already have somewhere to settle down in mind, it’s a good idea to research areas such as San Francisco or Chicago which are famously friendly to immigrants. If you’re totally new to the world of business and you haven’t moved abroad yet, don’t panic. Now’s the perfect time to test your skills and test the waters of making money for yourself. Consider some low-cost businesses you can start online such as freelance marketing, design or dropshipping which you can start for next to nothing. If you’re successfully able to build a web presence, get inquiries and earn money, you’re already way ahead of the curve. Whatever you think that your business is going to cost once you come to America, it’s safe to say that’s it’s going to be much more than that. After all, business startup costs can spiral out of control when you factor in elements such as insurance and legal fees. These costs get even higher when you start worrying about hiring and outsourcing. It never hurts to come up with a budget, even if it’s just a ballpark figure for your expenses. Again, ideally you can find success stories and case stories of others who’ve detailed their journeys so you aren’t blindsided by your startup costs. Last but not least, don’t forget to have a backup plan. This isn’t to assume that you’ll fail, but rather ensure that you can still enjoy what the United States has to offer and not put yourself in financial peril. Even something which scores you some side income is a huge accomplishment and who knows: maybe it could become a full-blown business for you down the road? It’s more than possible to get a business off the ground on U.S. soil regardless of where you call your homeland. That being said, your business doesn’t have to be some sort of massive, pie-in-the-sky success story. By focusing on a realistic, actionable business idea, you can turn your American Dream into something tangible with some careful planning.